It is October, dear readers. I wish all good health amidst the haze. Drink more water, stay indoors whenever possible, wear a mask if needed. Even though the rain didn't help ease much of the situation, it was better than nothing. I could still see the blocks of houses opposite mine rather clearly. Hopefully, this coming weekend would see lower readings of the PSI. Has anybody else seen this? 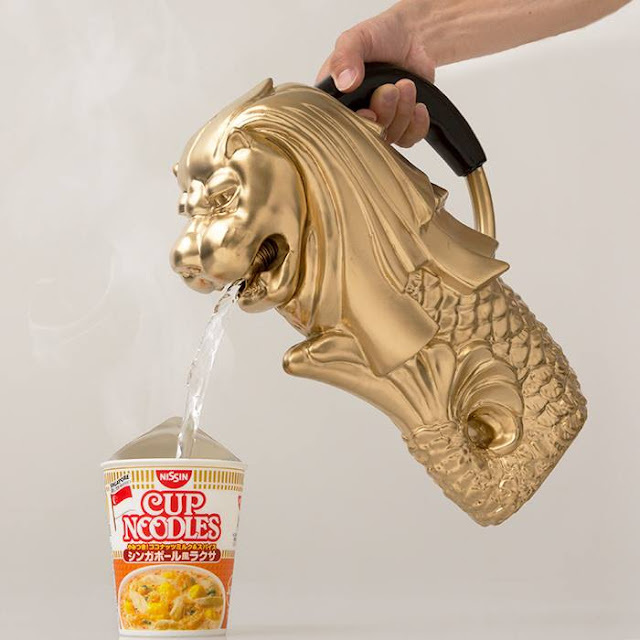 I was so tickled and impressed by the Merlion flask which quite unfortunately remains a gimmick by Nissin that is promoting its latest addition of Singapore Laksa to the Japanese community. From the numerous comments on Facebook (this photo was taken from the official Cup Noodle page), many people are actually more interested in buying that Merlion flask! Honestly, I would too. The description that accompanies the photo reads: Don't worry. It is boiling (water). This Singapore Laksa is the second flavour in the Ethnic Series (the first being Tom Yum Goong). Hmm, I have always appreciated Nissin and its wide array of noodles. The Cup Noodle may be small, but it is really tasty! Meanwhile, Snoopy Japan has released its wallpaper for October: Halloween! It is also Autumn or Fall for many countries. 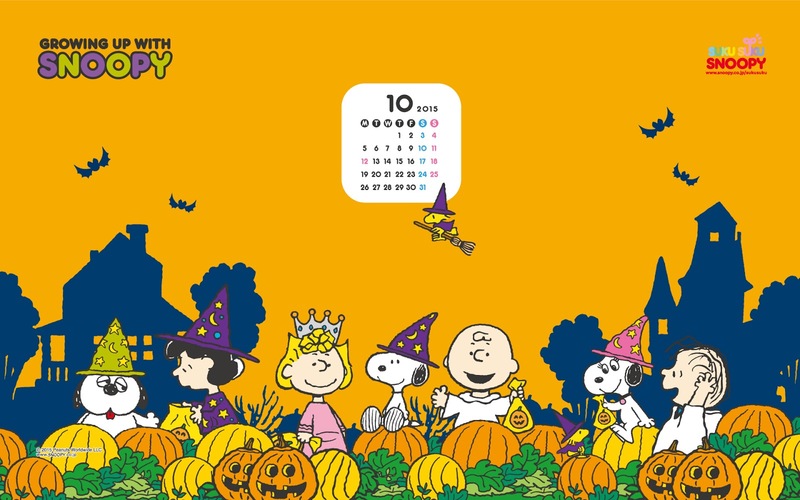 My favourite bit has to be Woodstock (or one of its relatives) flying past the Peanuts gang on a broomstick. The witch's hat is so fitting! I also fancy a nice bowl of warm Pumpkin Soup topped with some almonds and a drizzle of cream. Oops, Halloween is more of the gouging of the pumpkin. Basically, you set a nice, fat pumpkin atop some old newspapers. You take a sharp knife or cleaver or chainsaw (? ), mangle the poor fruit (until today I thought that pumpkin was a vegetable) without any conscience, and uh...never mind. For a fast-track, friendlier Pumpkin Soup recipe, kindly consult the search engine. I need to boost my soon-to-be-diminished knowledge of the anime circle now that many new titles are waiting in line to see the light of day and night. A quick glance at the latest offering has revealed some promising stuff. 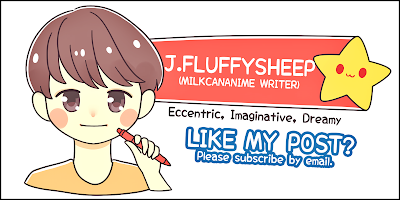 One of them that has caught my attention is 'JK Meshi'. Not much information has been given though, but from the looks of it the title reminds me of Happy Cooking Graffiti. 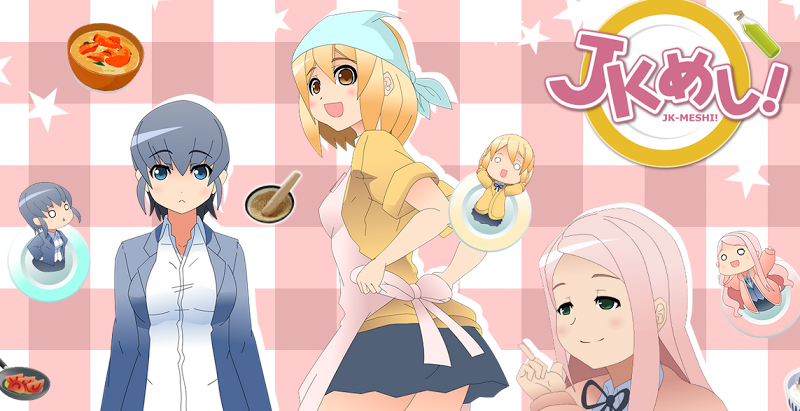 There are also three girls in high school whose lives revolve around the fun and joy of cooking. I'm putting this down on my invisible list! Speaking of food, in the manga department is Maki Hirochi's 'Itsuka Tiffany de Choushoku wo' or 'It will be breakfast at Tiffany some day'. A live-action television drama will premiere on the 10th of October. Hmm, right now I'm more interested in the manga! 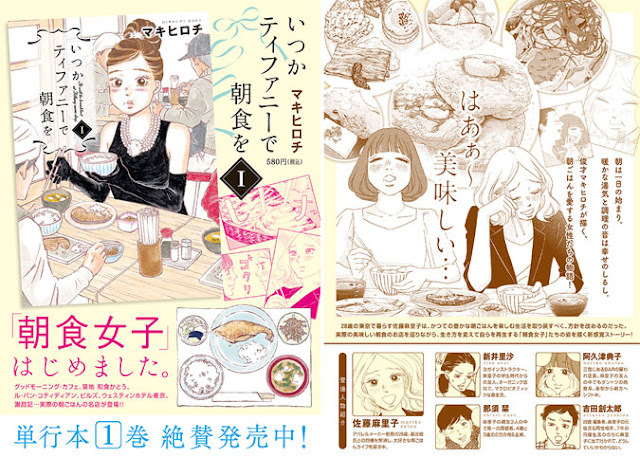 The cover art of the first tankoubon shows a woman clad in the outfit Audrey Hepburn wore in the movie 'Breakfast at Tiffany's' eating rice with fish and miso soup. However, there is a glaring lack of glamour in the main character's expression. A grain of rice sticks happily (?) at the side of her mouth. Naturally, that screams of something familiar. Yeah, food therapy. As of present, there are seven volumes in the series. Should I ignore the paperback mountain in my bedroom? Well, I suppose that there is no end in sight when it comes to certain stuff that I love! I should just dig deeper into the trenches. No Comment to " October "